Dating profiles aside, I’m not sure there’s such a thing as a Good Sense of Humour – I suspect it’s more about compatible senses of humour. John O’Farrell is one of my favourite writers ever, because his sense of humour exactly matches mine; his writing always makes me laugh. He fascinates me, because he writes something that is pretty unusual, a sort of male chicklit. The Man Who Forgot His Wife is a prime example. The main character – indeed, the first person narrator – is Vaughan, a middle-aged man. The plot is basically a love story, about a man who loses his memory and discovers that he is acrimoniously divorcing his wife (whom he has now fallen in love with again). If the characters’ genders were swapped, it would have Dorothy Koomson’s name on it and would be on the Women’s Literature shelf. (For the record, I love Dorothy Koomson too). But O’Farrell hasn’t written about a woman trying to win back her husband, he’s written about a man, and it’s frankly fascinating. It’s extra fascinating for me, because I often find my protagonists to be male, and I’ve often wondered whether I should be more worried about the “who is your readership” question. Don’t women’s books usually have a female lead? Should female authors focus on female characters? Etc etc. O’Farrell is hardly topping bestseller lists, but he’s published something like a book a year for over a decade, and I’d take that as heady success. And he’s not afraid to write women either, May Contain Nuts has a female narrator and it works just fine. Another thing I like about both Koomson and O’Farrell is that although their books are reasonably light reads and generally involve a bit of love and laughter, they deal with more interesting topics than simply romance. Total amnesia, cancer, adultery, adoption … these are not light subject matter – these books are not pure beach-reading chicklit. This is another element that matches the way I like to write, which is perhaps not surprising – I’m sure most writers write the kind of books they would enjoy reading. If you’ve never heard of John O’Farrell, but this sounds like the kind of book you enjoy reading, I would strongly recommend you pick it up. This and The Best A Man Can Get are both fantastic, and if you have school age children, or know anyone who does, you won’t go wrong with May Contain Nuts either. Recently, the book for my budding Book Group was Jenny Lawson’s “Let’s Pretend This Never Happened.” Lawson, known as “the Bloggess” is a Texan who has come to fame in the blogosphere, in a way many of us would no doubt love to emulate. Let’s Pretend This Never Happened is her first book, and is made up of what she calls a “Mostly True Memoir” about her life. 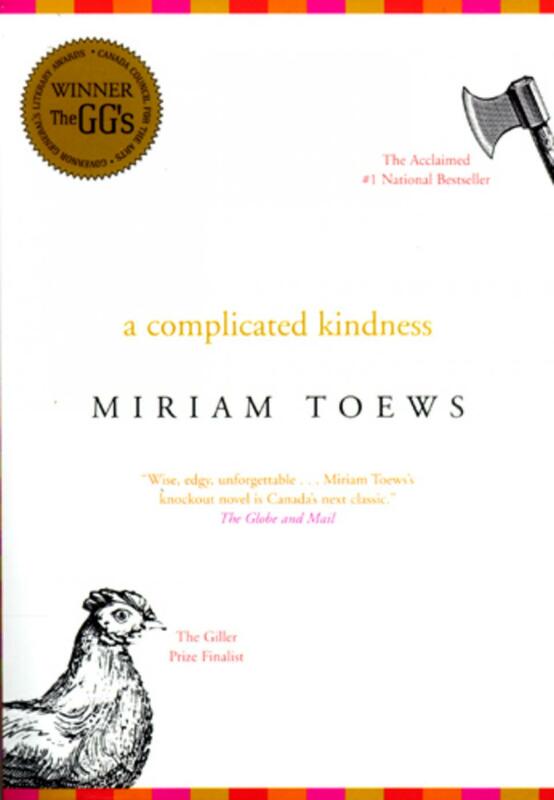 In places, it is heart-wrenchingly sad, but for the most part, the book is a light and humorous tale of her life and experiences. I believe newspaper reviewers would call it a “romp”, but in the funny sense not the sexual sense. Did I enjoy it? Yes. In places, it’s laugh-out-loud funny, and it’s certainly nothing like anything else I’ve ever read. Would I recommend it? I’m not sure. Reading this book was a bit like watching the trashiest of trashy TV, – you enjoy it at the time, but you come away feeling a little dirty, knowing that you have sort of wasted your time and you’ll never get that time back. So, it depends. I’m more a serious drama sort of a girl. I don’t mind whether the book is based on a true story or not, but I like a bit of character and plot. It’s the same reason I would prefer to see a play than watch stand up, although I do enjoy a bit of comedy here and there. I supposed I’m not really a laugher. I enjoy laughing with my friends because of the bonding experience it creates, rather than the jokes themselves, but sitting in front of the TV or reading a book and laughing always feels a little bit empty to me – laughter is something I prefer to share. But if you need a good giggle and don’t mind doing it alone, this is the book for you. And let’s face it – don’t we all want our blogs to turn into successful first-time publications? Sign me up for that one! I keep vowing not to read books that win awards. Then I go and pick up another one, read it and renew my vow. This was a classic example. As we know, I’m a slow reader. I’m also a reader who doesn’t like to give up part-way through. The result is that I wasted multiple hours of my life on this book. If you’re a fast reader, maybe it’s not so bad. Warning: SPOILERS (if you can call it that for a book which has basically no plot). It’s set in a Mennonite community, but with plenty of people who don’t seem to be Mennonites or at least don’t live in the way we might expect. I wish the author would make this a bit clearer, or in any sense clear at all. Oh, it was so frustrating. One of the reviews on the back commended Teows for taking us so vividly into the Mennonite way of life. I think what they were trying to say is that the Mennonite way of life is evidently really boring (that’s the premise of the novel, I’m not imposing my own views here), and the novel is really boring too. It also encapsulates the life of a teenager-going-nowhere: also boring, and a bit depressing. “Funny-sad”, comments another reviewer. The novel is definitely peppered with wry observations about the community and life of the narrator, but funny? It’s not what I’d call a comedy. On the plus side, it is well-observed, the characters are believable and there are some touching scenes between the main character, Nomi, and her father. But they are not worth the hours spent on the rest of the book. The précis on the cover claims that when Nomi discovers the truth about why her sister and Mum went away, she makes a bold decision that changes her life forever. In truth, there is no revelation about the sister, and the discovery about the Mum comes chronologically too early to be any sort of trigger for ending (we only discover it at the end of the novel, but Nomi has clearly known for a while). And that bold decision? Well the community decides to excommunicate her, her father decides to leave (or kill himself, depending on your interpretation) … Nomi pretty much bumbles along as she always has. After reading a few award-winningly frustrating award winners recently, it was nice to settle down with something trashy. In spite of the time pressure (partly my fault, partly the stupid library’s stupid renewal policy’s fault) and the fact that I was supposed to be studying it carefully in preparation for my own foray into chicklit, I thoroughly enjoyed the romp through Bridget’s life. I’ve seen the movie, of course, and even without it, could probably have guessed most of the plot by about page 4, but that’s not the point, is it? Nor is the fact that parts of the plot are brazenly copied from Pride and Prejudice and other ‘proper’ books. Nor is the fact that it’s short, or silly, or non-feminist, or any other quasi-insults we could justifiably lay at its door. This is the best book I’ve read for years. And to prove that this doesn’t make me a soppy, romantic, uncultured ‘chick’, let me tell you why. Heaps of it. Far more than the stupid Mennonite book, or Cloud Atlas, or any of the other award-winning nonsense I’ve read this year. Chase your character up a tree: Bridget is single and doesn’t want to be. Appear to let her down: Relationship with DC. Pull ground out from under her: DC’s behavior in relationship. Resolve everything: Oh yes, and some. Even Mark, Daniel and her parents are impressively 3D. OK, the supporting cast less so, but that’s a great show for a “trashy” novel and at least as good as Jane Austen ever managed. Bridget’s parents and their relationship dramas are a great counter-story. Her friends, each with their own relationship issues make a colourful backdrop. And if the main story is Bridget’s lovelife, the episodes in her career and with her family / parents’ friends are far more developed subplots than most novels can boast. You could open this book anywhere and know instantly what you’re reading. I found the lack of articles somewhat wearing at times, but it’s part of the character, of the idea that this is a diary, and most importantly, of the voice. More than anything else, what I look for in fiction is a book that carries me along and takes me away. I don’t despise my real life, but I do like to escape it once in a while. A good book gets you so caught up in the lives of the characters, you don’t think about your own. And you don’t keep looking at the amount you have left and thinking “oh no. All that still to go?” like I have with the award winners. So, am I shallow and uncultured? Do the judges of these awards see something I cannot? Or is this book like a beautiful woman in a cheap dress – infinitely preferable to the opposite? 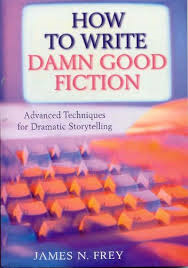 As part of my efforts to grow as a writer, I’ve just finished reading James N Frey’s reference book, How to write Damn Good Fiction. This book is the first writing How To that I’ve really enjoyed reading. In it, Frey refers repeatedly to a small selection of stories from a wide range of genres and styles (Crime and Punishment, Jaws, Carrie, the Red Badge of Courage and a couple of others), showing how the various aspect he’s talking about work together, rather than picking a different book to demonstrate each point he’s making. The chapters cover such issues as creating memorable characters, evoking sympathy, the narrative voice and the author’s passion. But Frey doesn’t just trot out the usual trite advice, he breaks these concepts down into ideas that actually make sense (at least to me) and gives concrete examples of how to do it well (or badly). He explains in two detailed chapters, his version of the concept of Premise. It’s something that troubles me and I don’t actually totally agree with some of his examples (see footnote 1), but his explanations are so clear, that this doesn’t really detract from the insight I gained by reading the book. The book was first published in 1994 and reprinted in 2002. (You may also find it under its alternative title, How To Write A Damn Good Novel II.) The final chapter is quaintly archaic, referring to WordPerfect3.1 (ah, I remember those days) and fax machines. But his advice is just as timely now as it was then, and that doesn’t detract from the book as a whole. If you’re an aspiring writer, looking to hone any part of your craft, I strongly recommend this one. It’s an enjoyable read, and packed with good advice. Joe Average on his way to work one day, hating his humdrum life, when he sees an armored truck careen around the corner and a bag fall out the back door. Joe picks the bag up, takes it home, and finds that it contains $3 million. His wife pressures him to turn it in; he does and becomes a celebrity. He goes on the Tonight Show where he talks about his great love of dogs (which he made up because he felt he had to say something) and is picked up as a spokesman for dog food, so he becomes even more of a celebrity and a champion of animal rights. Joe begins to get a swelled head. His wife leaves him and sues for a ton of money in the divorce. He starts living high on the hog, gets taken to the cleaners by a succession of girlfriends, and starts drinking. While staggering home one night, he encounters a dog on the street and kicks it to make it get out of the way. His mistreatment of the dog is videotaped and put on all the news shows. He’s ruined. In the end, Joe gets his old job back, realizes fame was not for him, remarries his ex-wife and is perfectly happy. Frey summarises the premise of this novel as: “Finding a bag of money leads to perfect happiness.” Doesn’t seem like that’s what I would take away from this story, personally, and therefore I’m not persuaded I’d describe it as the premise, but let’s agree to disagree. 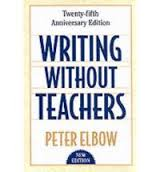 Last week, I read Writing Without Teachers by Peter Elbow. The book contains two distinct parts – so distinct in fact, that I’m not persuaded they belong in the same book, but there we go. First, Elbow gives us his theory for how to write more (and ultimately better) through what he calls “freewriting”; then he sets out a model for teacherless writing classes. The main point of this section is that many people don’t write at all, or don’t write enough, because they get too hung up on writing well. They are frightened to start and if they do start, they spend too long polishing as they go. The result is very little work, and all of it filtered through the unreliable editor of the writer’s instant reactions. Elbow suggests that writers (and by writers, he is talking about anyone who writes for whatever purpose; his focus is actually business- and essay-writing, rather than fiction) should let the words just flow, keep writing even if they have nothing to write except “I don’t know what to write”. He points out that editing should come much later, and that by starting at all, we often reach a much more honest and smooth voice than if we had tried to plan everything before putting pen to paper. It fits nicely with how I write as a fiction writer. I find that the writing I do when I just start is often the smoothest, whereas when I make a detailed plan there are jagged edges as I try to make what is coming out of my head fit into it. my Friday Fiction stories are usually like that – I see the picture and it prompts a first line in my head, I start writing that and see where it takes me. I genuinely do find that characters and scenes are sufficiently developed in my head that I only have to transcribe what I witness to have at least the bare bones of a story. Even in a pre-planned piece, the nicest bits are often the tangents, and in editing Phoenix Fire, I’m definitely redefining many of my ideas about what the story is really about, based on the ways the writing developed from the original plan. There’s always editing to do afterwards, of course, but Elbow and I agree that this should be a different stage. His theory here is that a teacher can only tell you one person’s reaction to your writing and presents his opinions as indisputable facts, thereby doing you a disservice twice over. Whereas in his “teacherless writing classes” (most people would call this a “Writing Group”, I’m a member of two in person and two online, none of which follows the Elbow method), you get feedback from a variety of readers. Moreover, he suggests that such feedback be strictly limited to facts (more on that momentarily), presented as mere individual opinions, thereby giving them more value but less power. Well, a teacher has a degree of authority. If a teacher tells us something is good or bad, we tend to believe them, although with writing, like any art form, so much is subjective that this teacher’s opinion is just that. By contrast, if we receive the opinions of a dozen other writers, we get a more diverse spread and a better idea of how the wider readership might react. So far, I agree. But in addition, he says, this wider readership should not attempt to give value judgements or to suggest changes. It is the writer’s job, and his alone, to rewrite the piece. The readers should only present facts about the way they perceived a piece of writing. So, for example “This paragraph felt boring to me” rather than “You used too many adverbs here” or even “This paragraph felt boring to me, I suggest you look at removing some of the adverbs.” Elbow is of the opinions that we cannot, as readers, know why a piece effected us in a particular way and therefore shouldn’t muddy the waters by trying to guess. To an extent, he’s right. We can’t know for certain why a piece bored us, but as a recipient of feedback, I ALWAYS appreciate the reader’s attempt to share not just his experience but what he thinks caused that experience. Of course, it must always be the writer’s prerogative to disagree with or ignore the feedback he receives, but I still think it’s valuable to get the most specific and constructive feedback possible. If I am having a piece reviewed, it’s the third kind of feedback above that I find most useful. It gives me a sense of how my words affected the reader (felt boring) AND why they think that was (too many adverbs). If just one reader out of 12 says this, I might be inclined to think that individual was just having a bad day, has a bugbear about adverbs or just isn’t my target readership, but if more than a couple of others agree, I’m going to take it seriously, and consider whether the adverbs, AND anything else about that paragraph, could be improved. I’d love to hear whether anyone has tried Elbow’s methods, and what you think about feedback in general. And, if I know you in person and you want to borrow the book, just let me know.